See, it's funny because Far Cry 3 was set in a tropical fantasy land called "Rook Island." 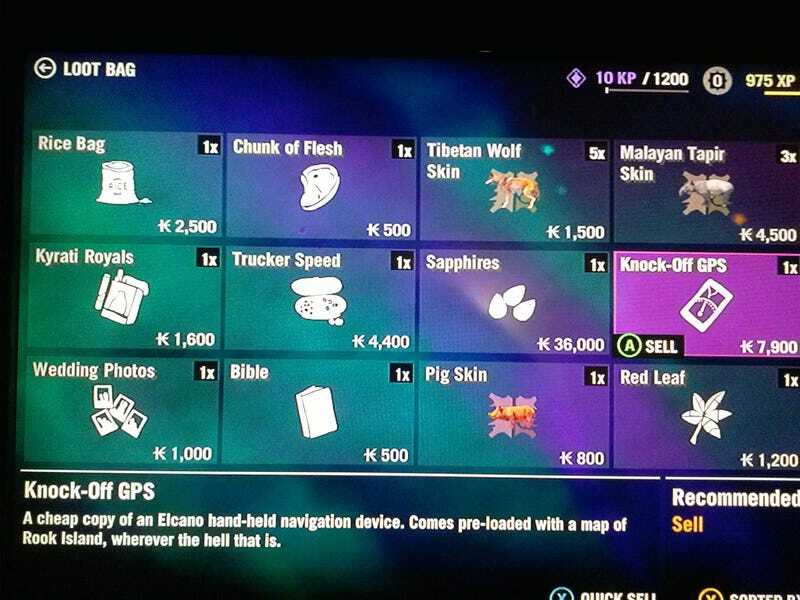 As far as I can tell, this is the best thing to come out of Far Cry 4's loot system. By that I mean it's the only good thing to come out of Far Cry 4's loot system. That thing really is horrendous.